Scientific Library WKSU Utemisov M is one of the oldest university libraries of Kazakhstan. The university library makes a significant contribution to the training and educational process, presenting users with access to library resources. History Library ZKGU closely connected with the formation of the Ural Pedagogical Institute. The library was founded in 1932godu, its foundation fund created 7,500 volumes of books Orenburg secondary school. This fund was adopted first head I. Lapatuhinym. The library had a unique fund of rare books and manuscripts 18-19vv. The fund consists of rare books from the collection of "Collegiate Dictionary, Encyclopedia, published pre-revolutionary Russia," the history of the Russian state, the universal biographical collection, "Pushkiniana" and monuments of ancient Slavic Literature. In 30-40 years, the book depository library fund was replenished by 40 tys. books. During these years, start their work reading rooms, in classrooms and libraries, advancing. In the grim war years the library continued its main funktsiyu- software training and educational processes. 50-60 years have seen the library of the Institute for an important event. The library has become one of the largest depositories, the book fund, which totaled 200 thousand. volumes, of which 30 thousand. Literature was fund offices in the departments. In 70-80 years, the library becomes educational support, information and cultural center of the Institute. There are new forms of work, increasing the book fund, opening up new points of service students. For years the library was headed by enthusiasts of the business LA Chebotarev, E.M.Saveleva, N.A.Mamonov, L.S.Matushkina. Each of them brings to the work of his soul. They leave a good footprint, dedicating his life to books. A significant contribution was made to the work of the library of her head L.A.Aleksandrovoy. 1990 Library became a hotbed of the dissemination of knowledge, spiritual and intellectual dialogue. In order to promote the scientific achievements of scientists and teachers published "Bibliographic index of scientific works of the scientists of the university." This work has received considerable attention in the scientific and university circles of Kazakhstan. In the 2000s, while maintaining the traditional methods and functions, Scientific Library of the University keeps pace with the times and brings to his work a new innovative technology. 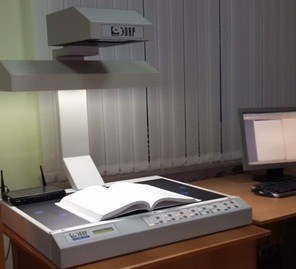 It begins the introduction of information technologies in library and bibliographic processes of the University Library. Along with the traditional catalog is an electronic catalog under the "Library 5.2". History of the Scientific Library and its success - it's not just performance statistics, it is primarily men who gave her many years of his working life: G.Z.Tausheva, G.T.Burekesheva, S.S.Kisekova, MJ Kenenova, E.G.Gerasimova, A.O.Gabdualieva, M.G.Ismagulova, M.N.Dngalieva, G.A.Mynzhasarova, G.B.Dnekesheva. A lot of effort and love given to the experts in their field, graduates of our university: Т.Е.Alimbekerova, T.S.Nashinova, G.K.Tarzhmanova, G.I.Dzhanbaeva.